The year 2019 will see many new smartphones being launched by established brands like Apple, Samsung, Xiaomi and more. With this being said, many of these smartphone brands are looking to launch some of their smartphones in January itself. With these smartphones, we will be seeing many new innovations come to the market along with upgraded specifications. Here is a list of five smartphones that we are expecting will launch in January 2019. Recently, Honor launched its first smartphone with an in-display hole for the front camera in China. The company will now be launching this new smartphone globally on January 22. The device has been priced at 2,999 Yuan (approximately Rs 30,000) for the 6GB RAM and 128GB internal storage variant and 3,499 Yuan (Approximately Rs 35,000) for the 8GB RAM and 128GB storage variant. Honor View 20 sports a 6.4-inch All-View display. It is powered by the company’s own Kirin 980 processor paired with 6GB/8GB RAM along with 128GB/256GB of internal storage. The device will run Google’s Android 9.0 Pie operating system with the company’s own EMUI 9.0 skin on top. All of this is backed by a 4,000mAh non-removable battery. The device features a dual camera set up on the back consisting a 48MP primary sensor paired with a secondary Time of Flight sensor. On the front, it features a 24MP sensor for taking selfies. According to a report from IANS, Samsung will launch its new smartphone series dubbed the M-series in India in January. 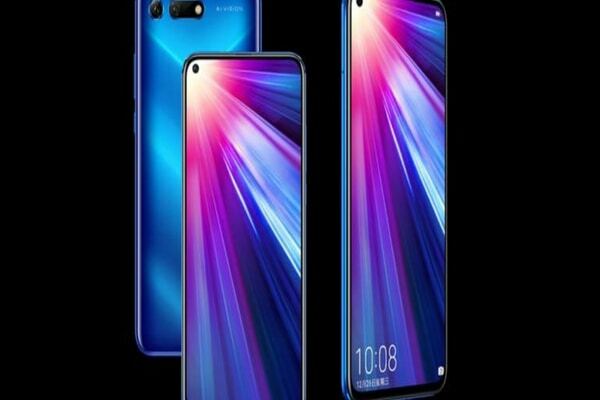 This new series will include three smartphones – Galaxy M10, M20 and M30. The company has declared no details about this new smartphone lineup as of now. Rumor has it that the Galaxy M10 will sport a 6.5-inch display. It will be powered by the company’s own Exynos 7870 processor paired with 3GB of RAM and 16GB/32GB of expandable storage. It will run Google’s Android 8.1 Oreo operating system and will be backed by a 3,400mAh battery. The device will feature a 13MP primary sensor on the back and a 5MP sensor for taking selfies on the front. Samsung Galaxy M20 will sport a screen resolution of 2340×1080 pixels along with an aspect ratio of 19.5:9. It will be powered by the company’s own Exynos 7885 processor paired with a Mali-G71 MP2 GPU. The device will come with 3GB RAM and 32GB/64GB of expandable storage. The phone runs Google’s Android 8.1 Oreo with the company’s Experience UI skin on top. Lastly, the Galaxy M30 will come with a display resolution of 2340×1080 pixels and an aspect ratio of 19.5:9. Just like the M2, it will be powered by the company’s own Exynos 7885 processor paired with 4GB of RAM and 64GB/128GB of expandable storage. Xiaomi is expected to launch its Redmi 2 Pro smartphone in China on January 10. Its predecessor, the Xiaomi Redmi Pro, was launched back in 2016 starting at 1,499 Yuan (approximately Rs 15,000). According to media reports, the Redmi Pro 2 might sport a “punch-hole” display, similar to the one seen on Honor View20 and Samsung Galaxy A8s. The device will be powered by the Qualcomm Snapdragon 675 processor. It is being said that this will also be the company’s upcoming smartphone with a primary back camera of 48MP. Lenovo showcased its Z5 Pro will be the world’s first smartphone to feature 12GB of RAM. The company during the Lenovo Z5 launch showcased the device stating that they will be launching it in China in January. Various reports suggest that the device will also be launching globally in the same month. Lenovo Z5 Pro sports a 6.39-inch FHD+ AMOLED display with a slider design setup. It will be powered by the Qualcomm Snapdragon 855 processor paired with an Adreno 640 GPU. The device will feature 12GB of RAM and an in-display fingerprint sensor. Huawei will be holding a launch event for its Y9 (2019) smartphone in New Delhi on January 7. The device was first showcased in China in October. The company till date has not revealed any pricing or availability details. It sports a 6.5-inch FullView 3D curved display paired with the company’s own Kirin 710 processor. The device comes in two RAM configurations – 3GB RAM and 4GB of RAM paired with 64GB of internal storage. It runs Google’s Android 8.1 Oreo operating system with the company’s own EMUI 8.2 skin on top. All of this is backed by a 4,000mAh non-removable battery. The device sports a dual camera setup on both the back and front. The back camera setup is comprised of a 13MP primary sensor paired with a 2MP secondary sensor. The front camera module comes with a 16MP primary sensor and a 2MP secondary sensor for taking selfies. Previous story How To Claim Unclaimed Insurance Benefit?